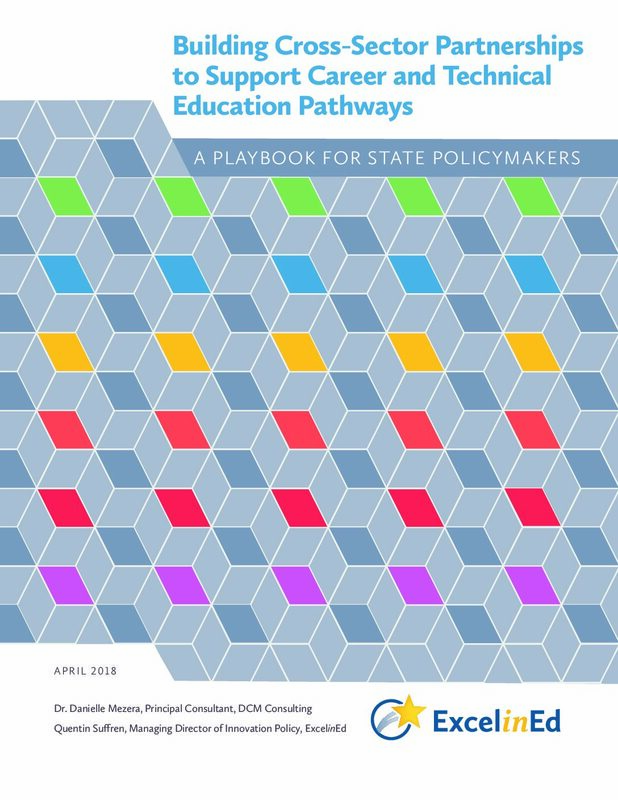 State policy can be a powerful driver and support for local innovation in education. This is one of the core principles of ExcelinEd’s work and partnership with states over the last decade. 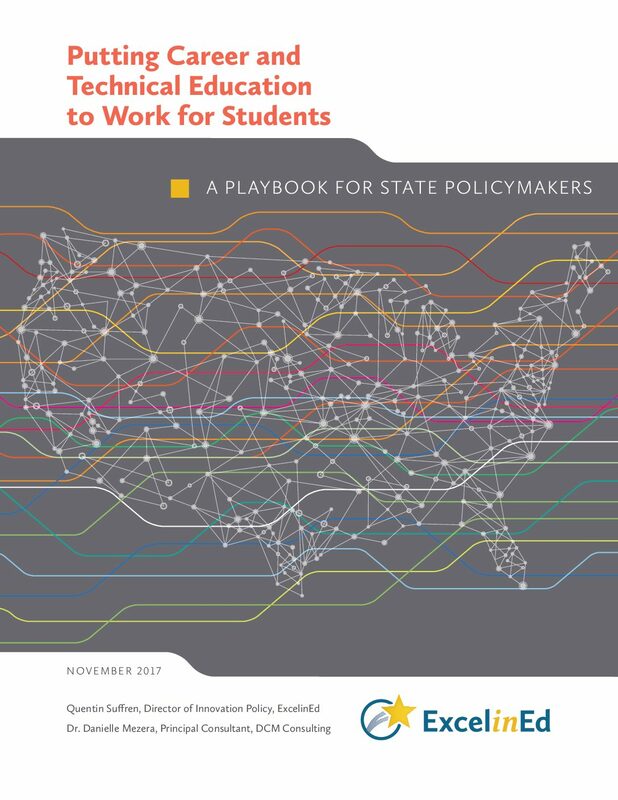 It’s also a major theme of XQ Institute’s new report High School & the Future of Work, which calls on policymakers to help communities transform high schools and better prepare students for success in a shifting economy. Their report calls out a number of startling statistics, some we have called attention to in the past and others that are new. 47% of American jobs will be impacted by automation. 4 out of 5 CEOs say that skills gaps in creativity and problem-solving make hiring difficult. 99% of jobs created during the economic recovery went to workers with postsecondary education or training. It doesn’t have to be this way. As evidence, XQ Institute’s report highlights schools like Crosstown High in Tennessee, Grand Rapids Museum School in Michigan and Purdue Polytechnic in Indiana that have reimagined the high school experience. These schools offer rigorous, real-world instruction in high-demand fields like computer science, technology and design, and advanced manufacturing. They are doing more than just being innovative; they are solving real problems in their communities and empowering students to invest in ideas and projects larger than themselves. Creating state innovation pilots and programs that give local schools greater flexibility or remove obstacles to personalize learning and redesign student experiences. Redefining “seat time” definitions to acknowledge that learning occurs at different paces, in places other than a traditional classroom, and through a broader range of demonstration options. Providing greater access and opportunity for students to earn college credit through AP, IB or dual enrollment courses. Modernizing CTE by aligning it to in-demand, higher wage careers and offering meaningful, work-based learning opportunities. 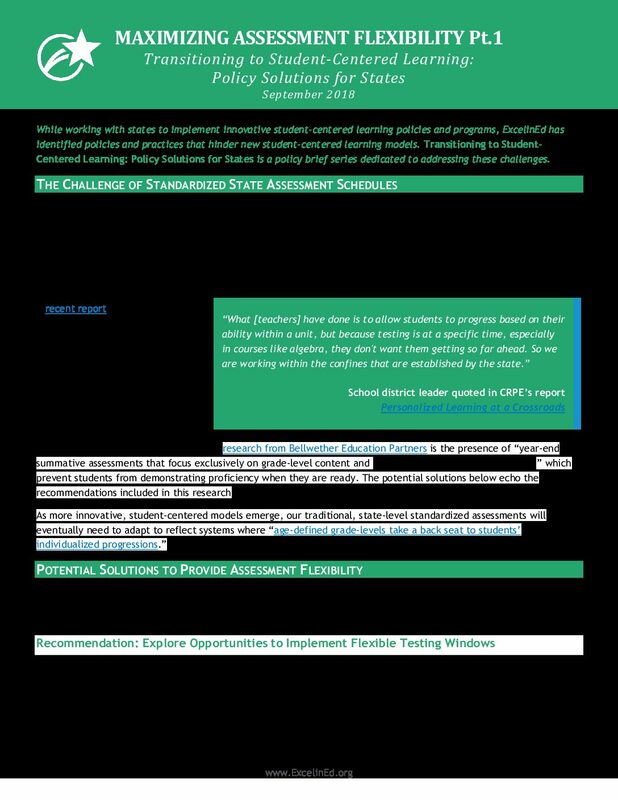 Supporting teachers by providing them high quality instructional materials and personalizing professional learning through micro-credentialing and mastery-based learning. There’s more in the report to chew on – it’s well worth a read. 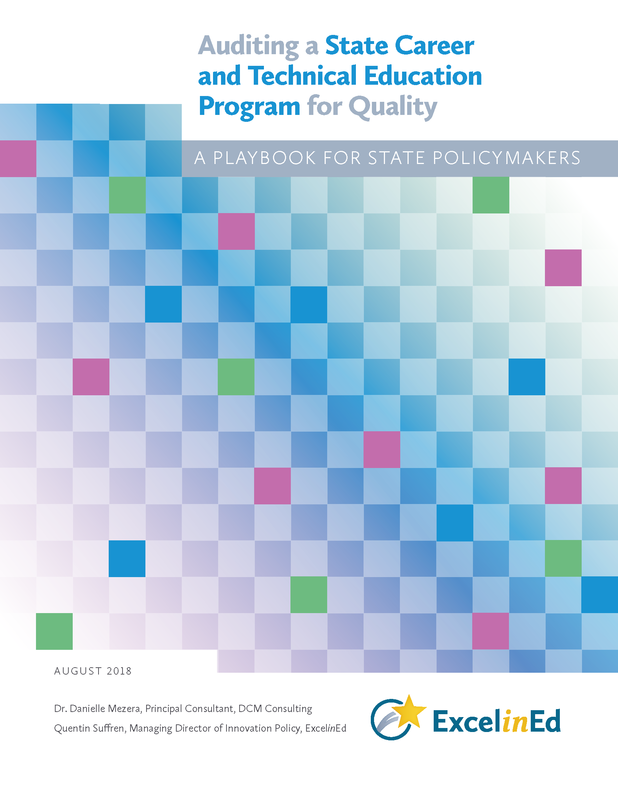 But for policymakers, these recommendations represent important steps to consider to help ensure their states’ future includes a skilled workforce and thriving communities. The future of this work is now. 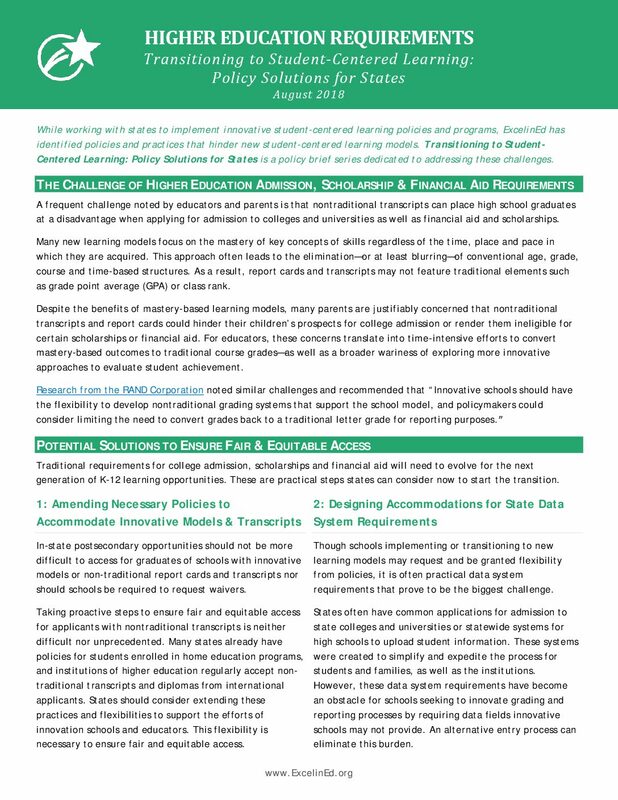 Here are just a few of our resources designed to help states and policymakers innovate, redesign, expand and modernize education. Contact me for more at Quentin@ExcelinEd.org.